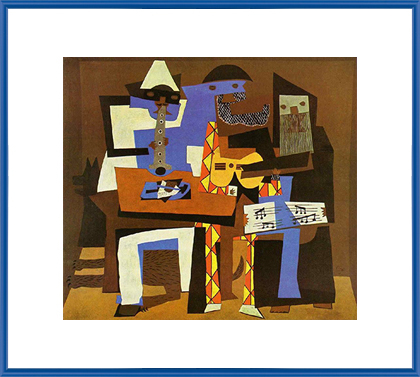 When you think of artists who defied convention, Pablo Picasso undoubtedly comes to mind. He was born on this day - October 25th - in 1881, and even though he died in 1973, his surreal works remain among the most sought-after in the art world. In 2015, his Version O from the “Les Femmes d'Alger” series sold for $179.4 million at Christie's New York. 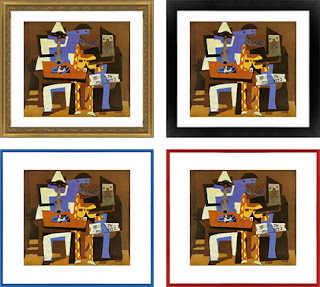 Whether you’re displaying an actual Picasso print or drawing inspiration from him in your own work, consider a frame that complements the art, but doesn’t overwhelm it. 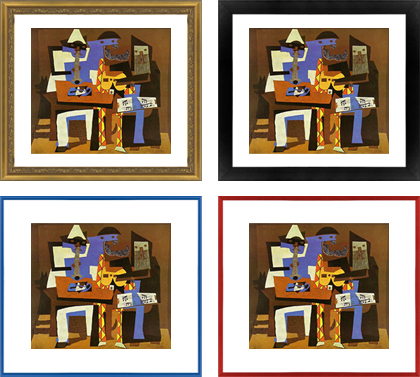 Here are some suggestions, using a Picasso-inspired print. Picasso often displayed his own work in antique gilded frames. You can achieve a similar look with one of our gold wood frames. We suggest this gold and black wood frame if you want an elegant antique feel. Sometimes, a brilliant painting needs little fanfare. Let it stand on its own with a simple black metal frame. Metal not your style? An understated black wood frame will work just as well. Displaying a piece from Picasso’s famous blue period? Enhance the somber feel with a blue frame, like our lovely lapis blue model that takes its name from the semi-precious stone of the same hue. 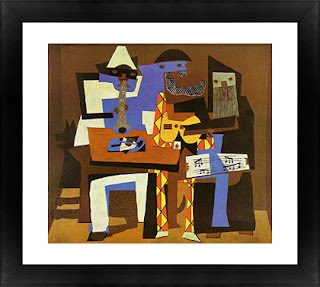 Picasso was a bold artist who pushed social boundaries and popularized a variety of styles, from surrealism to cubism. We think bold art deserves a bold frame, and our colored metal frames in shocking hues like Tornado Red and Cyber Green fit the bill. Need more framing advice? Contact us. This is a very good idea for gift. We give picture frame as a gift but why not also add a picture in it and surprise your loved ones. The free site for the word search puzzles is http://wordsearchpuzzles.online/ for the free play online. Now you can save your location of your files in a bookmarks. This is a smart thought for blessing. We give picture outline as a blessing yet why not likewise include an image in it and amazement your friends and family.